How Hypothyroidism and Amenorrhea are Related | Crank It! A number of menstrual cycle abnormalities can be attributed to dysfunctions of the thyroid gland. According to research, menorrhagia is the most common menstrual abnormality associated with sub-clinical and overt hypothyroidism. However, a study of adult women who developed amenorrhea found abnormal levels of prolactin in 7.5% of them whilst abnormal levels of TSH were detected in 4.2%. These are both symptomatic of hypothyroidism and indicate that, although relatively uncommon in comparison to menorrhagia, there is nevertheless a link between hypothyroidism and amenorrhea. Menorrhagia is characterized by abnormally high uterine bleeding. Whilst many women do suffer from heavy bleeding during their menstrual cycle, a diagnosis of menorrhagia is generally reserved for cases where at least twice the normal amount of blood is lost. As mentioned previously, menorrhagia is commonly associated with hypothyroidism and may occur with both sub-clinical and overt hypothyroidism. hormonal problems caused by hypothalamus or pituitary gland disorders, which in turn can be brought on by over exercise, eating disorders and/or psychological and physical stress. irregularities in the hypothalamus gland that cause it to reduce or stop producing the hormone gonadotrophin releasing hormone (GnRH) that triggers each menstrual cycle. This type of amenorrhea is called hypothalamic amenorrhea. fragile X-associated primary ovarian insufficiency (FXPOI). Ovarian cycles in most female mammals, including humans, is a finely balanced interchange between several hormones. The maturation of eggs, and the production of estrogen, within the follicle is stimulated by an anterior pituitary gland hormone called follicle stimulating hormone (FSH). As estrogen levels rise, the anterior pituitary switches off production of FSH and begins producing more luteinizing hormone (LH). LH triggers ovulation, which is the release of the egg from the follicle, and stimulates the development of the corpus luteum, a body of cells that will produce the progesterone needed to sustain a pregnancy during the early stages. How is this process related to the thyroid? 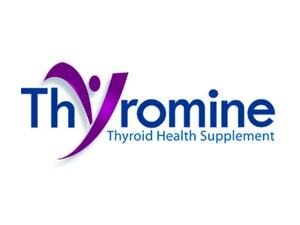 When blood levels of both types of thyroid hormones (T3 and T4) drop, the hypothalamus produces TRH (thyrotropin releasing hormone). TRH’s primary role is regulating the production of TSH (thyroid stimulating hormone) and prolactin in the pituitary gland. When TRH levels rise, the pituitary responds by stepping up production of TSH and prolactin. High levels of prolactin then inhibits the production of GnRH (gonadotrophin releasing hormone) by the hypothalamus. GnRH is responsible for signalling the pituitary to produce FSH…. So it’s a cascading effect. When blood levels of thyroid hormones drop it sets in motion a series of hormonal activities beginning right at the very top of the command chain with the hypothalamus. 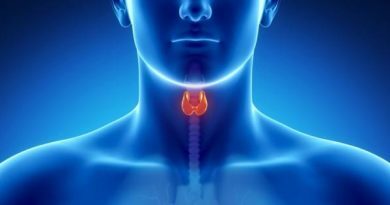 Low levels of thyroid hormones triggers a rise in TRH (hypothalamus), which triggers a rise in TSH and prolactin (pituitary). A rise in prolactin reduces production of GnRH (hypothalamus), which results in a drop in FSH (anterior pituitary) and a subsequent drop in LH (anterior pituitary). FSH and LH are the two hormones that control the ovarian cycle. Without these 2 hormones, or without enough of them, follicle maturation and ovulation cease causing amenorrhea. Normally by the time thyroid hormone production is affected enough to cause amenorrhea, other symptoms of hypothyroidism will have become apparent. Sub-clinical hypothyroidism tends to be associated more with menorrhagia. Because amenorrhea can be caused by a range of things, ascertaining the underlying cause is usually the first step in treating it. Pregnancy, the most obvious cause, needs to be ruled out first. If the patient isn’t pregnant, the next step is usually testing levels of TSH, LH, FSH and prolactin. A test result showing high levels of TSH but normal levels of the other 3 hormones generally indicates the amenorrhea has been caused by hypothyroidism. In which case, further tests confirming the levels of thyroid hormone will be ordered and treatment started accordingly. Usually, treatment of the underlying hypothyroidism will restore normal ovarian activity after several months.